After her marriage, Elizabeth Darcy was styled as Countess of Ormonde. Her married name became Butler. [S6] G.E. Cokayne; with Vicary Gibbs, H.A. Doubleday, Geoffrey H. White, Duncan Warrand and Lord Howard de Walden, editors, The Complete Peerage of England, Scotland, Ireland, Great Britain and the United Kingdom, Extant, Extinct or Dormant, new ed., 13 volumes in 14 (1910-1959; reprint in 6 volumes, Gloucester, U.K.: Alan Sutton Publishing, 2000), volume IV, page 244. Hereinafter cited as The Complete Peerage. [S4697] Charles R. Buterl, "re: Butler Family," e-mail message to Darryl Roger LUNDY (101053), 27 June 2010. Hereinafter cited as "re: Butler Family." [S77] Leslie Stephen, editor, Dictionary of National Biography (London, U.K.: Smith, Elder & Company, 1908), volume III, page 531-33. Hereinafter cited as Dictionary of National Biography. [S6] G.E. Cokayne; with Vicary Gibbs, H.A. Doubleday, Geoffrey H. White, Duncan Warrand and Lord Howard de Walden, editors, The Complete Peerage of England, Scotland, Ireland, Great Britain and the United Kingdom, Extant, Extinct or Dormant, new ed., 13 volumes in 14 (1910-1959; reprint in 6 volumes, Gloucester, U.K.: Alan Sutton Publishing, 2000), volume II, page 452. Hereinafter cited as The Complete Peerage. 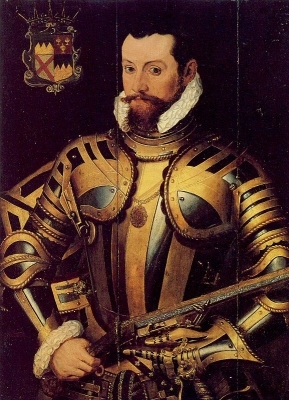 James FitzMaurice FitzGerald, 10th Earl of Desmond was the son of Maurice FitzThomas FitzGerald, 9th Earl of Desmond.1 He married Amy Mac-I-Brien-Ara, daughter of Turlogh Mac-I-Brien-Ara.2 He died on 18 June 1529 at Dingle, Lancashire, EnglandG.2 He was buried at Tralee, County Kerry, IrelandG. He gained the title of 10th Earl of Desmond. [S6] G.E. Cokayne; with Vicary Gibbs, H.A. Doubleday, Geoffrey H. White, Duncan Warrand and Lord Howard de Walden, editors, The Complete Peerage of England, Scotland, Ireland, Great Britain and the United Kingdom, Extant, Extinct or Dormant, new ed., 13 volumes in 14 (1910-1959; reprint in 6 volumes, Gloucester, U.K.: Alan Sutton Publishing, 2000), volume IV, page 249. Hereinafter cited as The Complete Peerage. [S6] Cokayne, and others, The Complete Peerage, volume VII, page 207.